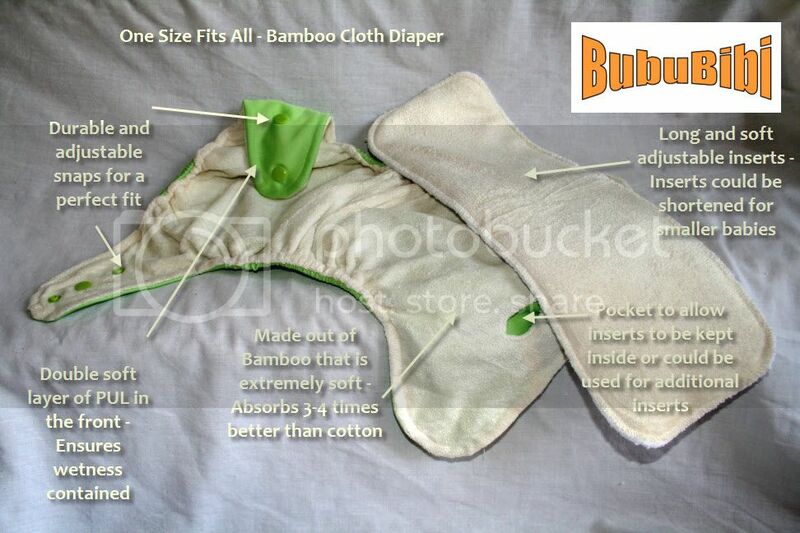 - One Size - Fits newborns all the way to toddlers, allowing parents to save money instead of having to get bigger diapers as baby grows. 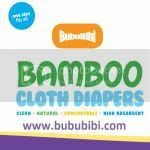 - No diaper covers required - Unlike some other bamboo cloth diapers that requires diaper covers, parents do not need to spend extra. - Waterproof - Comes with double layer of soft PUL in the front to ensure waterproof and to avoid leakage and keep wetness contained. 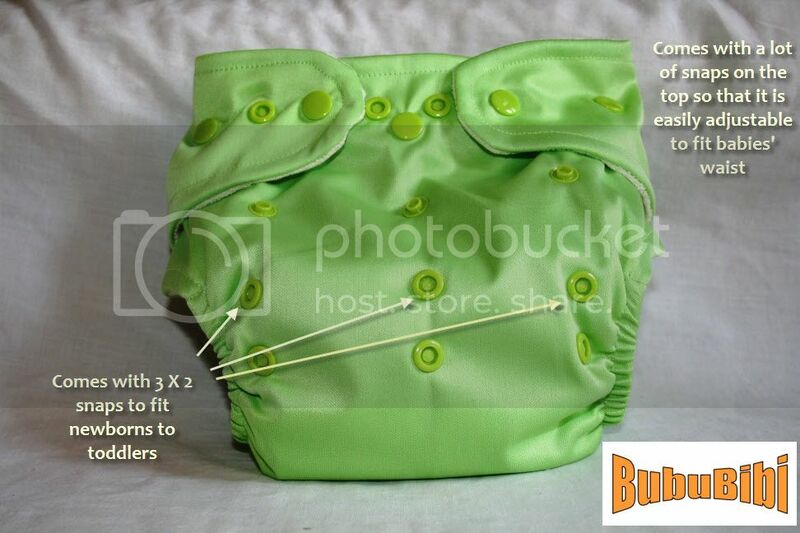 - Front pocket with snaps - Comes with front pocket to hide absorbent inserts or for additional inserts & snaps ensure that inserts stay! 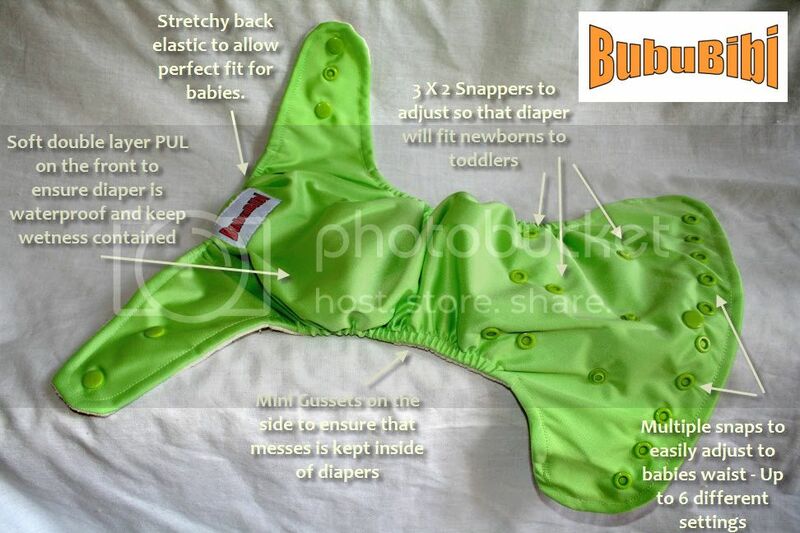 - Adjustability - Comes with a lot of snaps on the waist to allow diaper to fit perfectly and the right size for all babies. 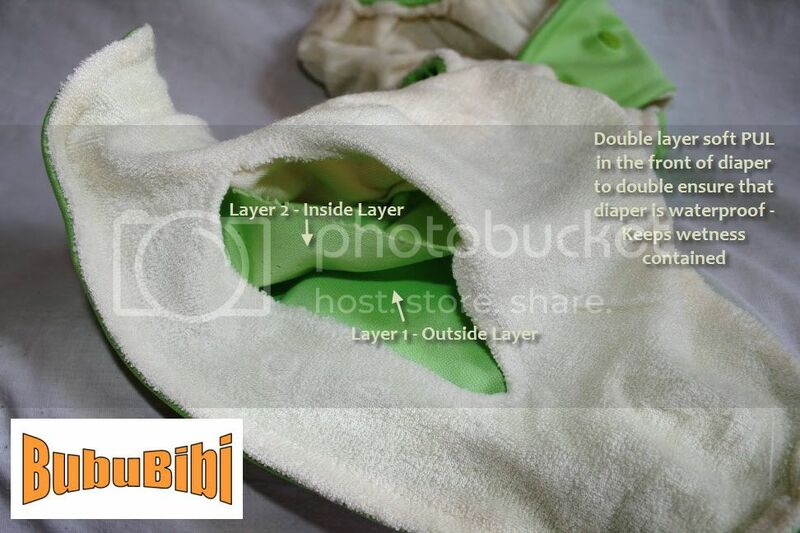 - Super Absorbent Insert - Insert is made out of 1 layer of bamboo and 3 layers of microfiber - 4 layers that makes it super absorbent. Please click here to purchase now. We are now offering 5% off to our customers who follows our blog. 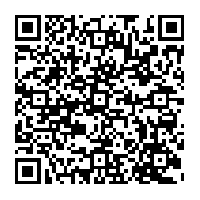 Check out with coupon code blog0310 for the month of March 2010 to enjoy your 5% off all purchases.